Irvine, CA. (​April 15, 2019​) — Today, Irvine Company Retail Properties announced that Mathis Brothers Furniture® – one of America’s largest independent furniture retailers – is opening a new, 160,000 square foot retail location in The Market Place, one of Southern California’s most popular shopping destinations. Set to open to the public in Spring 2020, the new Mathis Brothers Furniture location will join a best-in-class lineup of furniture retailers, including Ethan Allen®, Natuzzi Editions® and Thomasville Home Furnishings® – cementing The Market Place as one of Southern California’s premier home furnishings retail destinations. A vast, outdoor lifestyle shopping center, The Market Place has evolved into a gathering place to shop, dine, explore and be entertained. It is both a local staple and a sought-out destination for shoppers due to its premier lineup including Nordstrom Rack, White House Black Market, LOFT, Total Wine, REI and Best Buy, Sephora and Ulta, as well as unique on-site events such as holiday celebrations and happy hours. One of Southern California’s most popular shopping centers, The Market Place is a 165-acre outdoor lifestyle shopping center offering the best-in-class in a variety of retail categories, including apparel & accessories, electronics, home furnishings and décor, sporting goods and more. 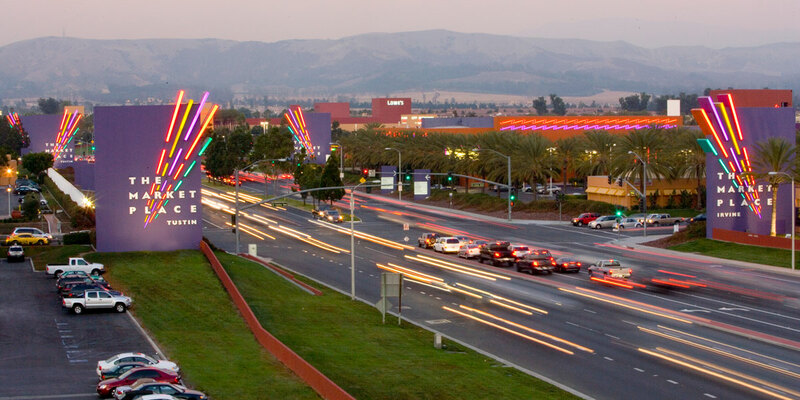 Conveniently located off the Santa Ana (5) Freeway, the center straddles the cities of Irvine and Tustin. The Market Place features more than 135 stores and notable restaurants, including Nordstrom Rack, Best Buy, Target, Orange County’s largest REI, the county’s largest See’s Candies, Snooze, an A.M. eatery, Hopdoddy Burger Bar, Texas de Brazil, Starbucks Drive Thru, TAPS Fish Market & Brewery, Urban Plates and a stadium seating Edwards Theater. For more information, please visit ShopTheMarketPlace.com. In 1960, the Mathis brothers, Don and Bud, revolutionized the furniture business with everyday low prices, which meant customers didn’t have to wait for a “sale.” As they said at the time, “we took a little less, so our neighbors could have a little more.” The concept was a spectacular success, helping Mathis Brothers become one of the largest independent furniture retailers in America. Today there are 17 Mathis Brothers Furniture locations in the U.S., each offering the largest selection of home furnishings in their marketing territory. Mathis Brothers offers more than 10,000 separate items, including living room furniture, bedroom furniture, dining sets, dining room furniture, mattresses, and much more from top brand names. Mathis Brothers core principles have always been to offer the biggest selection in the state, prices no other dealer can match, backed by the strongest guarantees and best customer service in the industry, because a satisfied customer is and always has been our most important product. For more information, please visit MathisBrothers.com.